The EAN and ERPAN have decided to set up a meeting in December 13th 2018 to brainstorm on their understanding of the "graded approach" and experience in implementing it in the context of Euratom Directive 2013/59 article 24. To narrow the discussion, it has been decided to give a focus on the graded approach for the protection of workers in workplaces. The synthesis summaries elements from the four keynotes presented and the resulting discussions took place between the presentations. Following recommendation from the three first EAN workshops, the European Commission has set up a research project on the application of ALARA for the internal exposure. The SMOPIE (Strategies and Methods for the OPtimisation of Internal Exposure of workers from industrial natural sources) project came to its end in June 2004 and has generated important information about practical radiation protection monitoring programs in NORM industries. It provides practical information how to assess the radiological consequences for the workforce in a first screening campaign, and how to get more information when the first screening warrants further research. By this approach, the most efficient use can be made of resources, without spending unnecessary time and money where this is not justified and by advising on the use of the right instrumentation for the follow up of the job, in a way that produces the quality of results required to implement radiation protection controls. 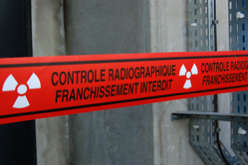 In 2005 the French nuclear safety authority (ASN) requested the French Comittee of Non-Destructive Testings (COFREND) to work on improving radiation protection in gammagraphy. To perform this task COFREND asked for collaboration with the French Radiation Protection Society (SFRP). Thus in 2006-2007, 9 working groups on different topics (for instance, regulation, training, dosimetry, risk assessment at the workplace, etc.) were set up and in January 2008 a seminar was organized to synthetize and discuss the conclusions of the working groups. A special edition of the French journal "Radioprotection" including the results of that work was published in late 2008. The documents (only in French) can be freely consulted here.